The latest news on everything related to General Motors talks about the sale of Opel to the French manufacturer PSA. However, the world continues to revolve and one of its brands, Chevrolet, continues with its projects. The last known is this Chevrolet Camaro GT4.R. A car developed and manufactured exclusively for its use in circuit. With this sport the American company intends to compete in the GT4 races, where brands like Ford, Mercedes-AMG, BMW, Porsche and McLaren fight to take first place. The objective of the Chevrolet Camaro GT4.R is clear: to eliminate with all of them. This model is officially presented this weekend at the Grand Prix of St. Petersburg, where you can see two units worn by Blackdog Speed Shop. 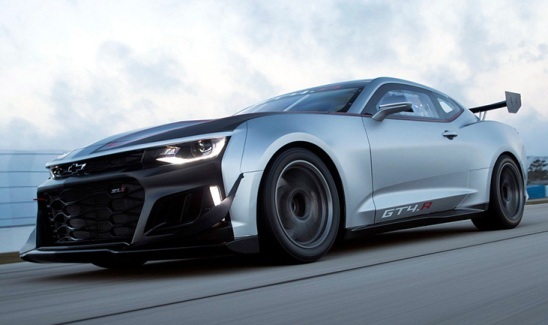 On the basis of the Camaro SS, the Chevrolet Camaro GT4.R has received an important and eye-catching aerodynamic package to enhance its stability in step by curve, as well as a lightening of useless components in circuit and obviously a profound change to provide it with a high safety in case of accident with roll cage, seats and specific safety belts. Its engine is a V8 of atmospheric admission and 6.200 cc of displacement of which its final performance is still unknown. This is associated with a specific sequential transmission with six speeds. To minimize traction losses, in addition to the aerodynamic package, it has a self-locking differential on its rear axle. Brembo and Ohlins are the suppliers of brake and suspension equipment respectively. 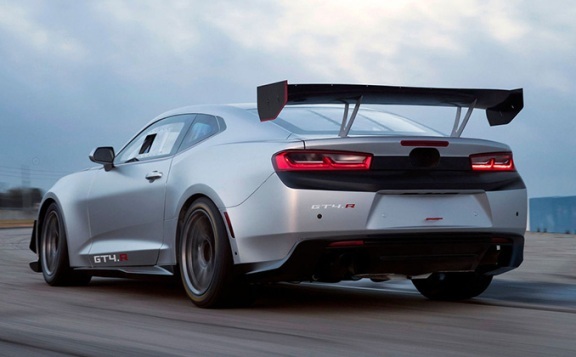 The Chevrolet Camaro GT4.R of competition, supposedly, it will debut in the Circuit of the Americas in the month of May. The engineers still have a lot of work ahead to adjust it and give it a set-up that allows you to fight for you to your rivals. The excitement is guaranteed and the expectation is maximum.